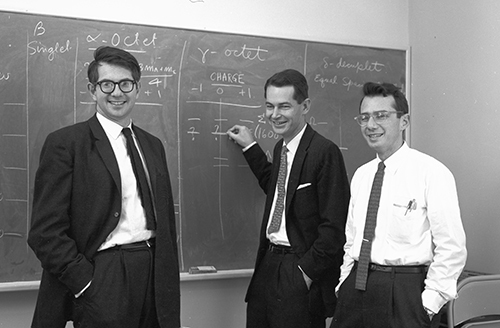 Art Rosenfeld, Berkeley Lab scientist, scholar-activist, and public servant, transformed the field of energy efficiency from a research afterthought into a mainstream movement. He is directly responsible for cultivating the growth and research agenda of the Energy Technologies Area at Berkeley Lab, and especially with the Buildings group. 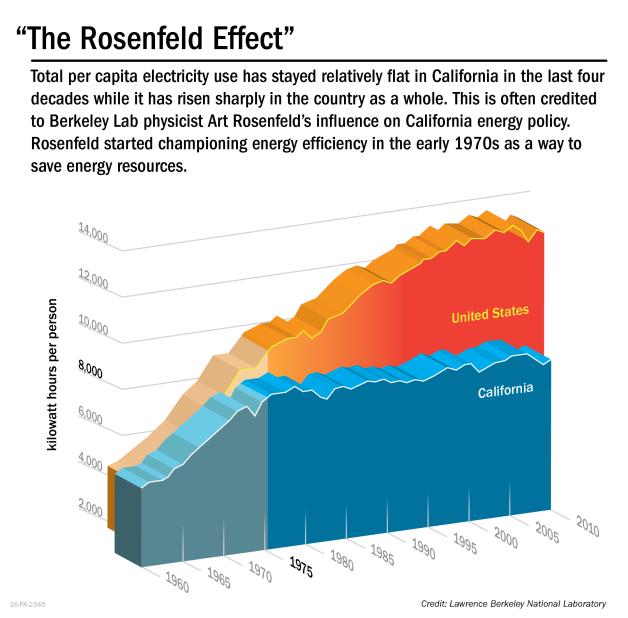 Rosenfeld's research, done in conjunction with many BTUS researchers, have saved consumers billions of dollars, prevented billions of tons of carbon from polluting our world and demonstrated to governors and Presidents alike that economic growth did not require more power plants. 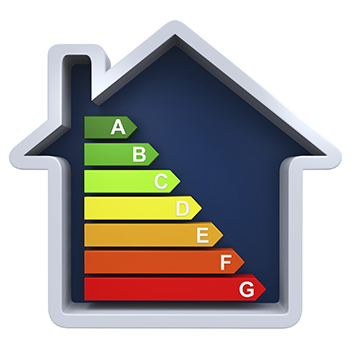 For Rosenfeld, conservation and energy efficiency were not trivial or second rate. They were rigorous, applied science, rooted in real life experience. 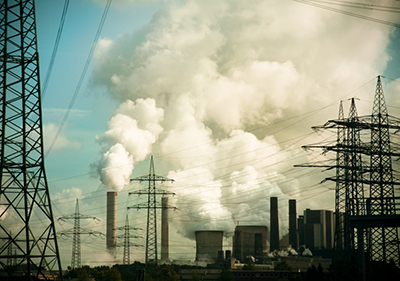 And as he took aim at energy inefficiencies—from buildings and lighting to appliances and computers—he inspired countless scientists and scholars around the world to do the same. 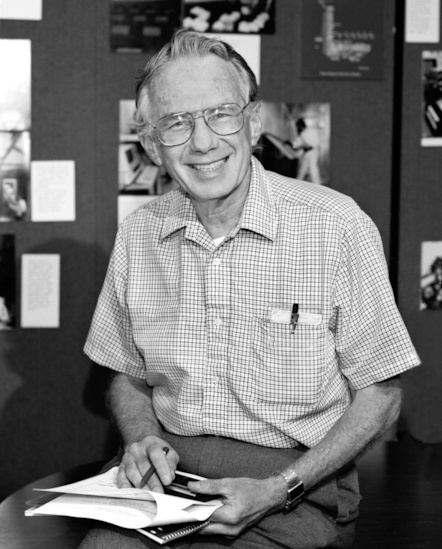 Berkeley, Calif. (Jan. 27, 2017) — Art Rosenfeld, a Lawrence Berkeley National Laboratory (Berkeley Lab) Distinguished Scientist Emeritus who is also known as California’s “godfather” of energy efficiency and who has been credited with being personally responsible for billions of dollars in energy savings, died Friday at his home in Berkeley, California. He was 90. 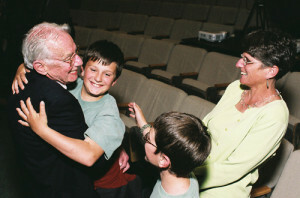 Rosenfeld was born in Alabama in 1926. 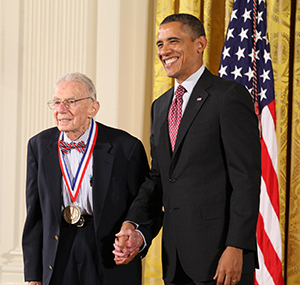 He served in the U.S. Navy for two years at the end of World War II, then entered graduate school at the University of Chicago, where he became, as he often said, "Enrico Fermi's last graduate student." On the strength of a recommendation from Fermi, he later moved to Berkeley in the 1950s to work as a physicist in the Nobel Prize-winning particle physics group of Luis Alvarez.